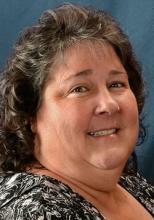 Kathie Robinson joined Mason-McDuffie Mortgage Corporation as a Loan Officer in June of 2013. Prior to Mason-McDuffie Mortgage, Kathie worked as a Loan Officer for 18 years at Access National Mortgage Corporation. Kathie enjoys working with a wide range of borrowers to help them solve their problems and can achieve their dream of homeownership with the loan product that best fits their needs. Her strengths and success as a Loan Officer are due to her commitment, experience and ability to analyze product advantages and match them with her clients. With Kathie’s 15 years of construction experience she can guide her clients through the financing process to build their dream home. Kathie enjoys her job as she builds relationships with her borrowers, builders, Realtors and referral sources. Despite her busy career, Kathie has been a member of Xi Epsilon Upsilon of Beta Sigma Phi Sorority for 24 years. This sorority is a social, civic and cultural organization which participates in service projects in the Roanoke area such as the Ronald McDonald House, Rescue Mission, Salvation Army, and several Animal Shelters. Kathie has been a member of the Oak Grove Church of the Brethren for 47 years where she has been very active in many aspects of the church and has served on the Church Board for 5 years. Kathie served as Clerk for the district conference for 6 years and worked on staff at Camp Bethel in Virginia for 4 years during college and still remains active with the camp. Kathie is an active member of WERV (Women’s Entrepreneurs of the Roanoke Valley) and The Roanoke Regional Home Builders Association where she served as an Ambassador. Kathie Robinson lives in Roanoke, Virginia, with her husband Dave and their 2 dogs, Buddy and Maddie. Kathie is a graduate of Elon College and when not working, she enjoys camping in the outdoors, movies, and reading.